I am not sure how many teachers talk about note-taking strategies in their class – I know I talk about different methods when giving sessions on plagiarism and how to avoid it. This article provides some great pointers to share with your students on how to take notes in class. Personally, I am a total “dynamic Outline” kind of gal! Also, we have talked about the pros and cons of typing rather than writing notes. For some, effective note-taking takes place on paper, for others they prefer to type. Either way, it doesn’t make our technology less useful or the paper and pencil people luddites. There’s room for all kinds! I saw this amazing post by Silvia Rosenthal Tolisano about Sketchnoting and decided I would try the app SketchNotes. 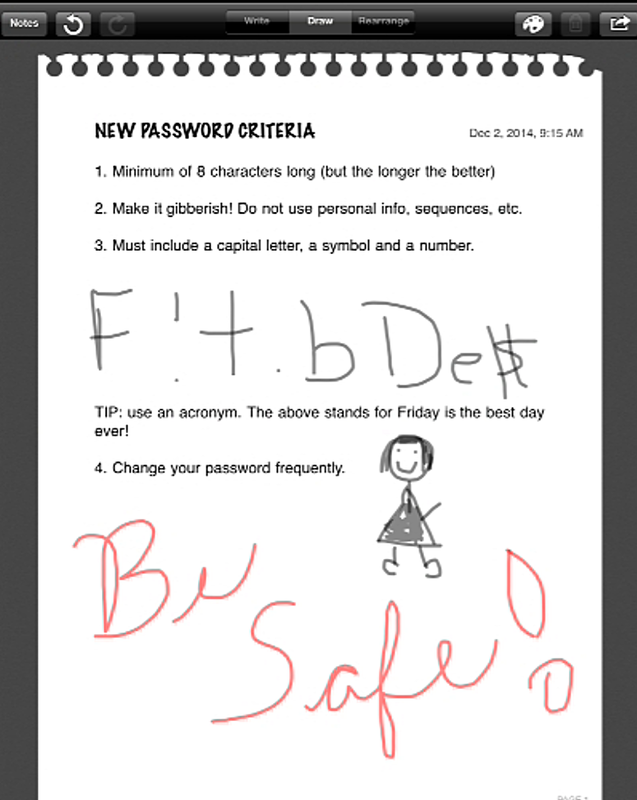 I used the information about best practices for passwords to try it out. 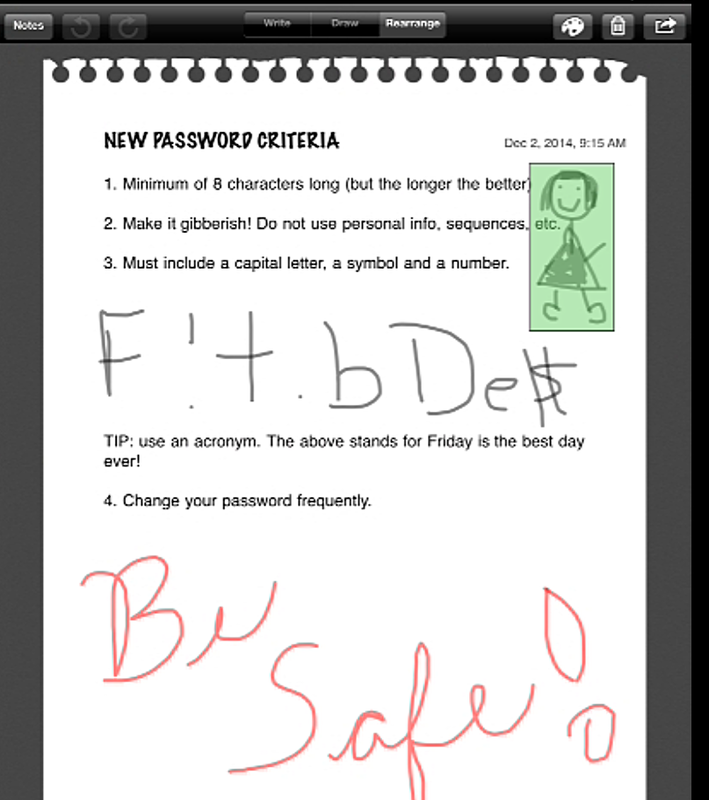 It is a visual note-taking app. This means you can type your notes like you would in any note app. But as an extra bonus, you have the ability to doodle on it. Since Science has proven that doodling can actually be a good thing, this could be useful for certain types of learners. Easily. 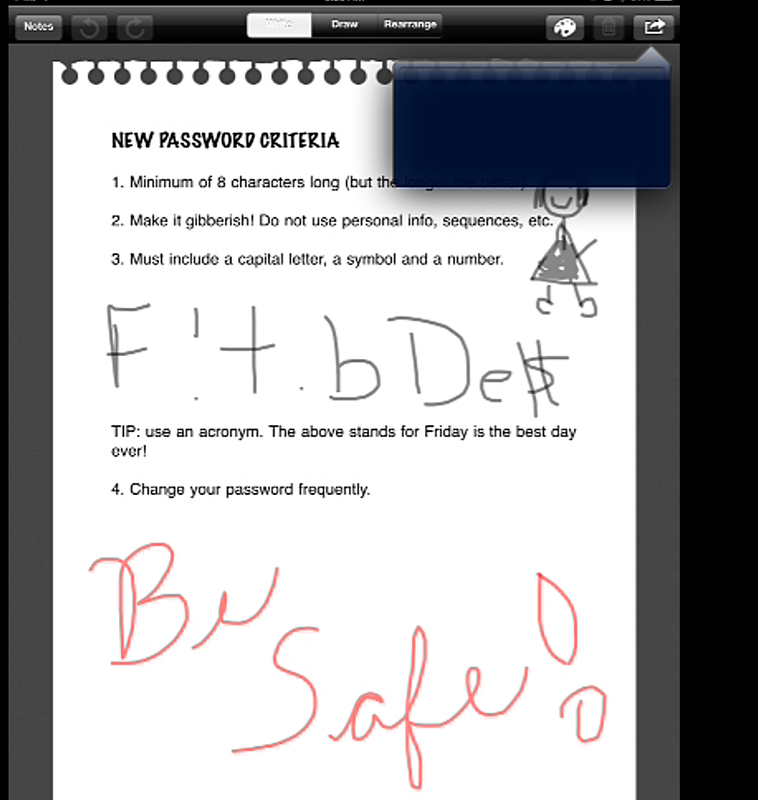 You have the option either to typer or to draw. It just takes a tap to switch modes. Hmmm. This might be a glitch, but even shutting the app and opening it again didn’t help. 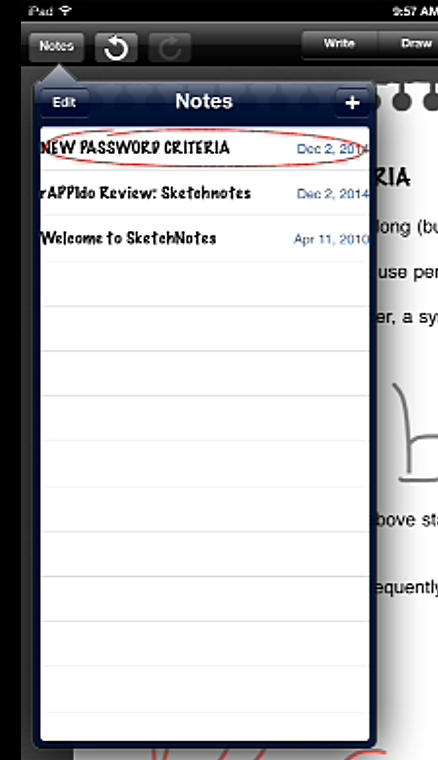 Still, it is kind of game over if you can’t get your notes out from the app. However, this only works with the drawings, not the text. You can see what notes you have created on the left-hand side. 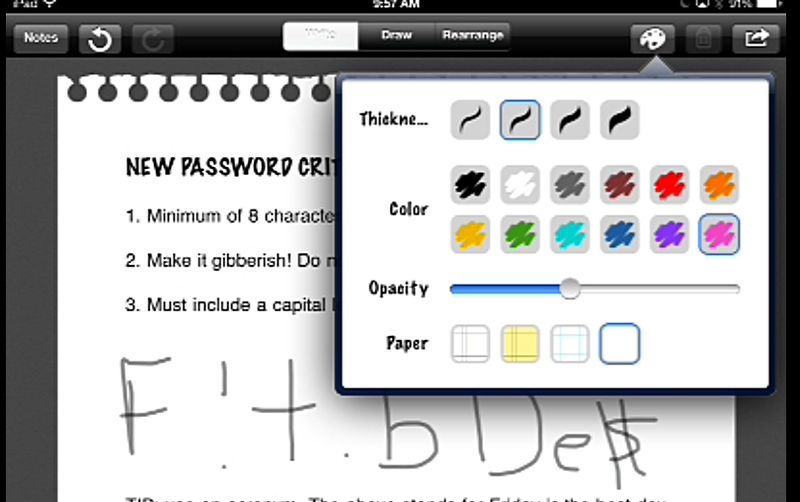 Although the drawing feature is kind of neat,and it is relatively simple to use. There are some features lacking (not to mention the export options which are just plain missing). For instance, you can’t zoom in or out, which would be helpful with the drawing. As I mentioned above, you can’t move blocks of text around either. I was visited by a teacher yesterday who was wondering what the best way was to use the iPads in her class for research. This teacher had a couple of sites she wanted the students to explore but wanted to make sure they were actually engaging with it. I have been thinking of this ever since and I am not sure I have a good solution. The only thing I can think of is what our math and multimedia teacher mentioned in his Flipped Classroom presentation- that taking notes are a very important part of making sure the students are viewing the presentations/videos,etc he wants them to view. 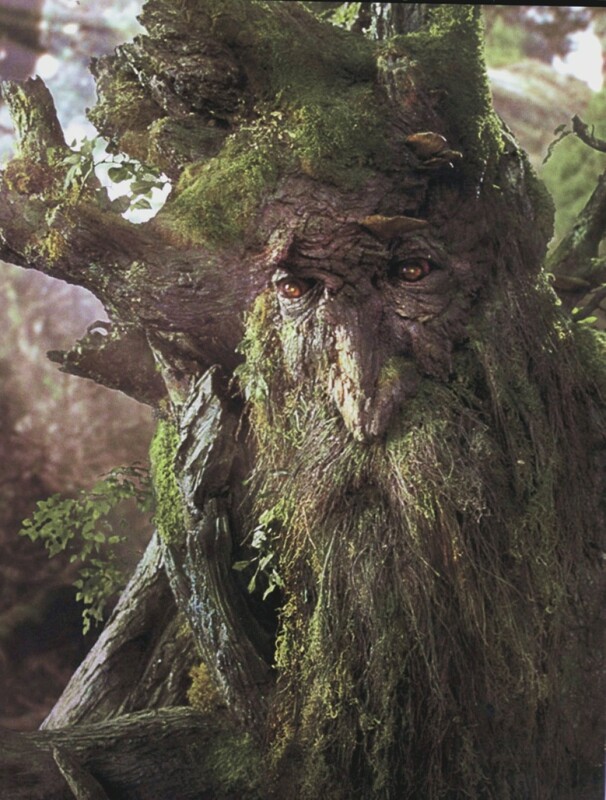 Some ways the first teacher could go about it would be to have them do what Mr. Math teacher does- make them take notes on paper and then take a photo of their notes and post them on a class blog. Or, as the sites includes many images the students will have to explore, they can save the images to their camera roll and then stick them in a place where they can annotate them (whiteboard app, keynote,etc.). Or a combination of both. Her concern is that she wants to be able to retrieve all the documents in one place- not to be bombarded by a bunch of emails. I am intrigued by the idea that pen and paper and technology are not mutually exclusive-there is no need to throw the baby out of the bathwater. What do you think? If you get your students to look at certain websites on their iPad what are your tips and tricks to ensure they are engaging with the site and not with instagram? Below is the article where I found the infographic. Does the physical act of writing something down help you to remember it? What is the most effective way to take notes? 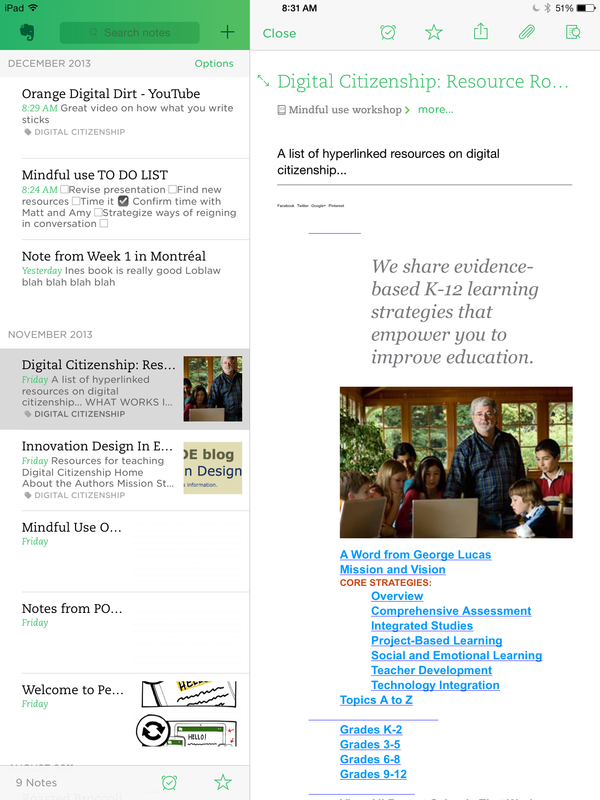 How does all of this play into a more digital classroom? Sometimes I have unexplainable mental blocks for certain things. For example, anything with the Oprah Book Club selection sticker on it. For some reason, the very fact that a book is plastered with that sticker will ensure that I do not read that book unless under duress (of which book club counts as duress). And of course, the moment I finally pick the book up, years after the hype has died down and all my friends who highly recommended it can’t remember the plot line, I discover how amazing it is and can’t believe I didn’t read it sooner. I have the same phenomena with certain apps and social media. I have already written about my reticence with Twitter ( I think I am altogether to Ent-like to enjoy a medium that restricts me to 144 characters) I pushed through the wall and figured out how it can be useful to me. 2. My husband asked me about it last night as he is being encouraged by his work to begin using it. As it so happens, I have been playing with it for the last week in order to figure out how it can be useful to me. I am giving a Digital Citizenship workshop tomorrow and thought that would be a good project to gather information, especially since I plan to build on the workshop with other ideas. And lo and behold, it is useful ( I know, I know. I am so darn slow.) I can access it on my desktop, iPad and iPhone (in fact,my family and I spent a few minutes last night dictating limericks on Evernote and watching them being transcribed automatically into our notes). 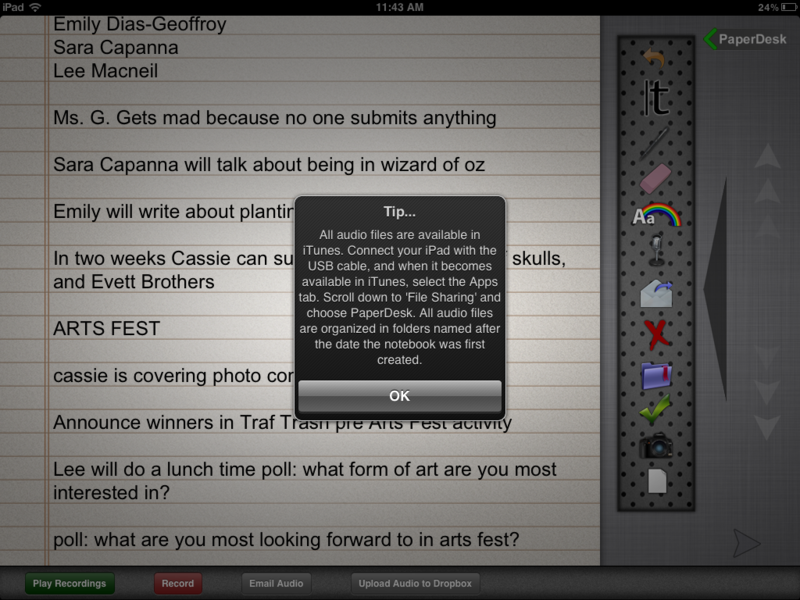 The dictation function is helpful, especially when I am using it on my phone or iPad (not so much on my desk top). 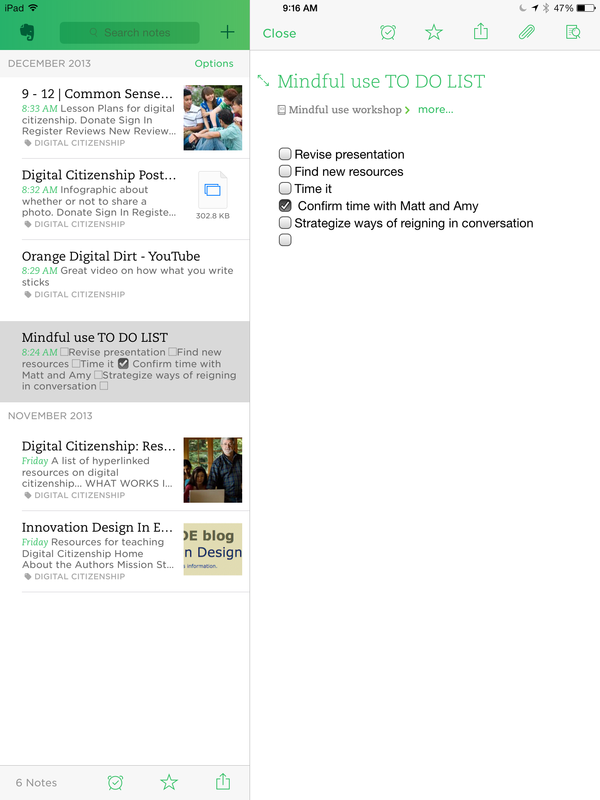 But on the desktop, you have the option to use the Evernote website clipper, which allows you to save only a snippet of a website not the whole website itself. This is useful if you only need a chunk of the info. Okay. Fine. 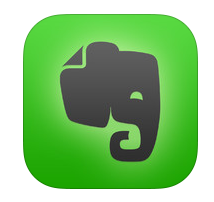 I am now an Evernote convert.I would be interested to know if you use Evernote and how and what you use it for! The article below made me think of a conversation I had the other day with Mr. Math and Multi media about how it was going with his flipped classroom. He was telling me that since he required the students to take notes on the videos they must watch at home, it has been way more successful. He then took it a step further and not only required his students to take notes, but to post them to their math blogs. All the students in his class (and now all of you) can benefit from their notes. The fact that they are public I suspect also contributes to the quality. I have made a pinterest board of all their blogs so you can peruse a sampling of their notes, or click on an individual pin to go their blog. 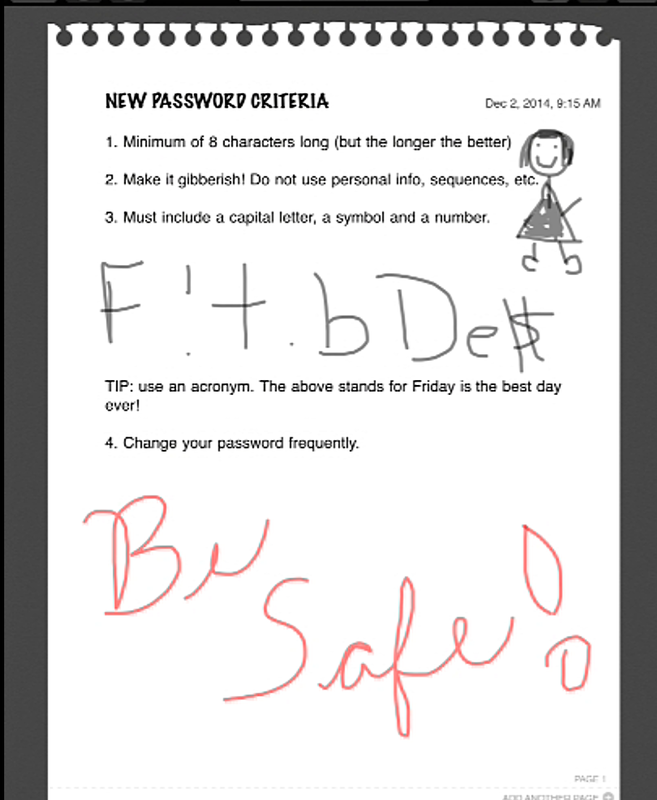 This is a great example of how you can leverage the use of the iPad (or any device) in the class, from watching the videos or presentations on the iPad, to making notes, to posting them on a blog. All this can be done with great ease on one device. 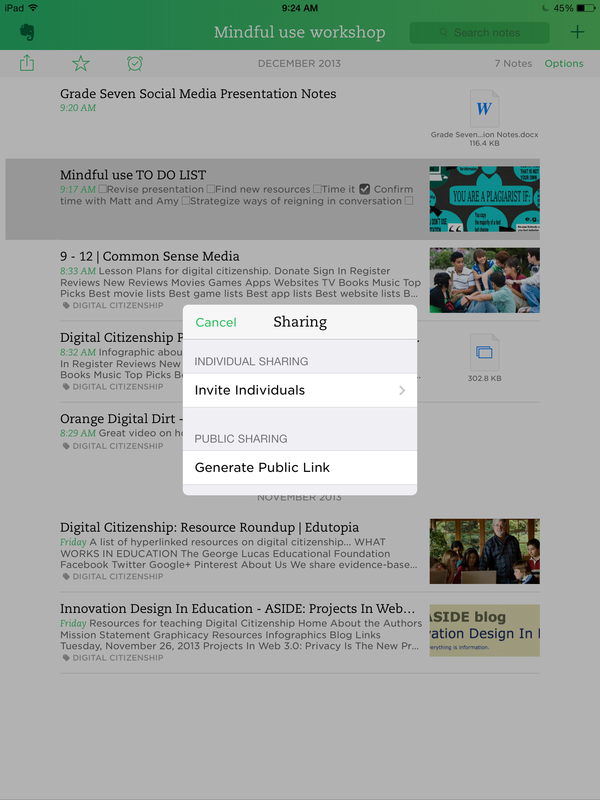 Below is an article on another way one can use the iPad and collaborative tools in order to create a class pool of notes. Complain and you shall receive…Promo codes! Apparently the folks at Paperdesk must have an alert whenever their product is mentioned, because I received a comment in response to my post about not reading the fine print from their support desk apologizing for their fine print etiquette and offering me a couple of promo codes for the school! Woohoo! Free stuff! My frugal heart is all a flutter. So I am giving it a whirl as I speak. In order to populate my folders and my notes, I thought I would copy and paste some of my notes from Pages to paper desk, so that I can group them in folders. Oh. 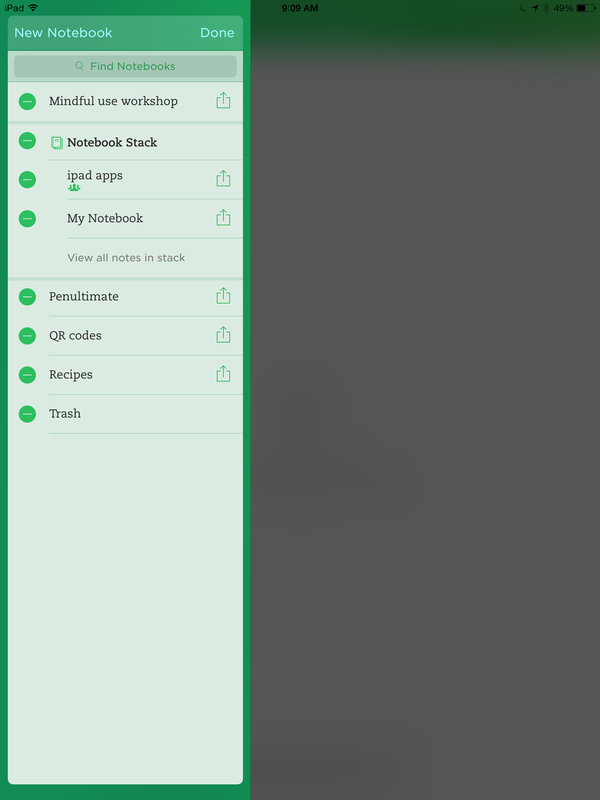 Just figured out that I can make folders with Pages the same way you can make folders with your apps… So what else does paperdesk have to offer? 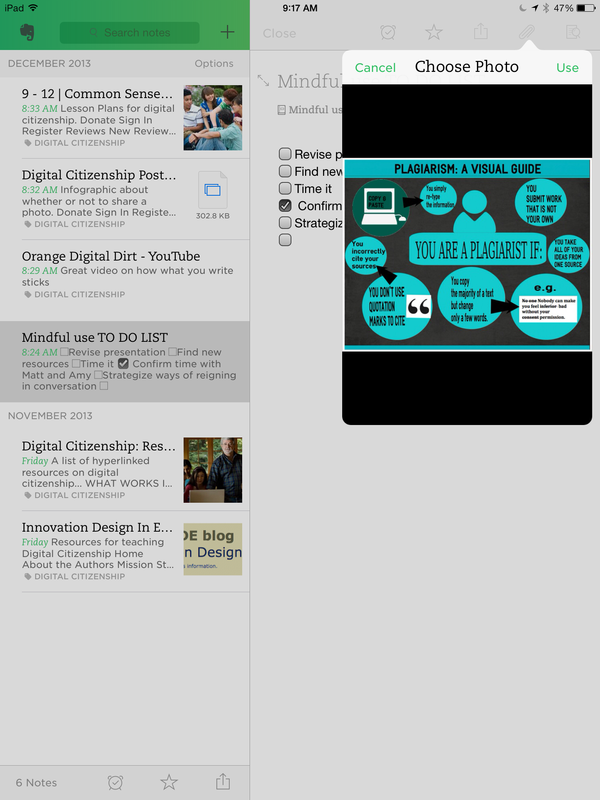 Paperdesk converts your notebooks into PDFs and puts them in your dropbox automatically. The only issue that I can see is that the PDF format does not allow editing which sorts of puts the kibosh on collaborating doesn’t it? 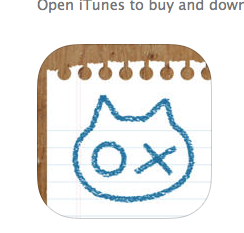 I uploaded my document to my dropbox and lo and behold, it was in a folder called apps–> paper desk. Excellent! That worked fine. What happens when you edit the same document on your iPad? Does it replace the dropbox copy? I went back and modified my document, and then tried again. The dropbox copy does indeed replace the new version with the old version, but, and this is a BIG GLITCH, it only uploads the first page of the notebook. This is a problem. Third glitch. I just tried to upload the second page of notes and still it only turns the first page into a PDF. Correct me if I am wrong, but if you are taking notes in a class, chances are you are going to have more to say than an iPad size page. And to ask people to upload one notebook several times seems ludicrous. I tried uploading it to google docs (which does not work well on the iPad anyway, and it does the same thing: PDF. One page. However, you can get all four pages when you email the notebook to yourself. 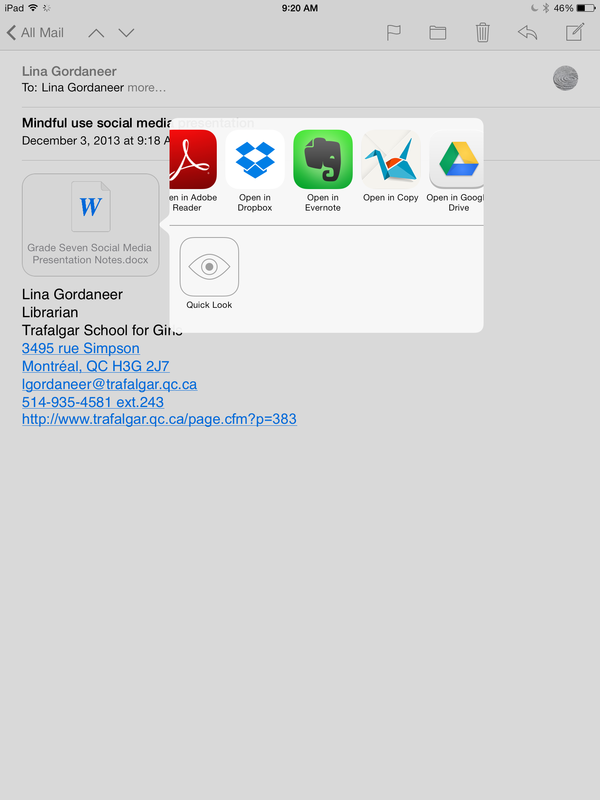 So why use paper desk instead of other note taking apps? What is the use of having a notebook app on the iPad win the uploading function is dysfunctional and there is no possibility of collaboration (i.e., several people being able to work on the same document) is non-existent. It is true that compared to Pages you add audio and sync to dropbox, which would be a nice function if it worked properly. All the other stuff that does work is, in my opinion, bells and whistles. If I wanted to record over my notes, I would want my noted and the recording to be one package not separately uploaded. 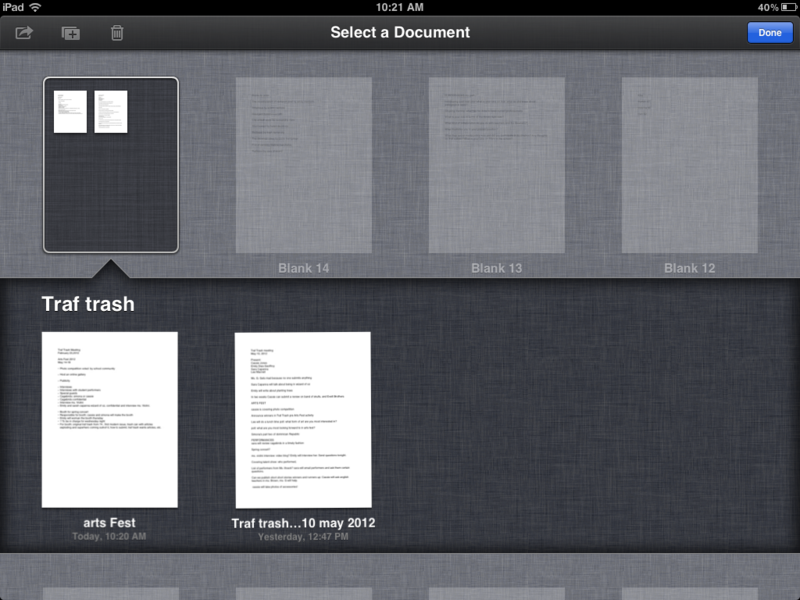 If I wanted PDFs of my notes, I can just use Pages. 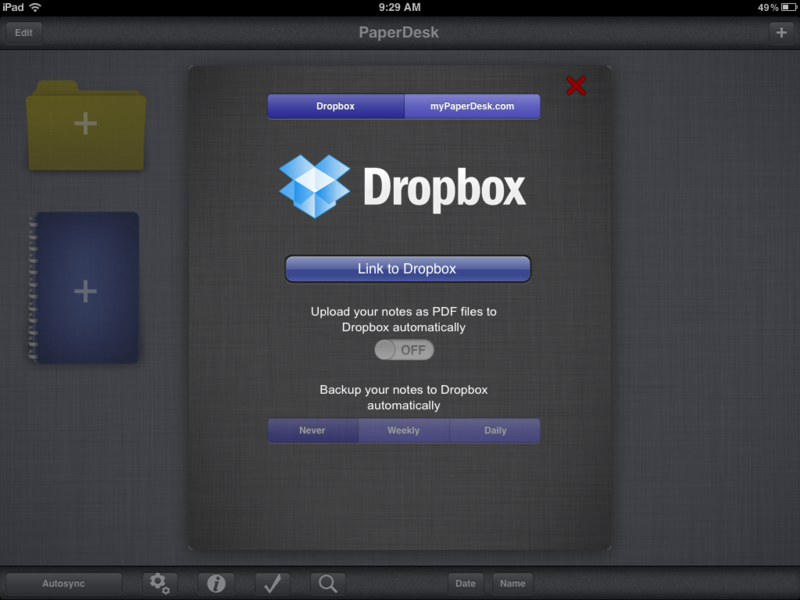 It also allows you to import pdfs from different apps, but they remain pdfs so you cannot edit them. Unless you are just trying to gather all you information on one area, this is not so helpful. It has a nice, simple interface. Most of its functions are intuitive. If paper desk fixed the glitches mentioned above it could be a nice solution for students. Otherwise I don’t see the point.